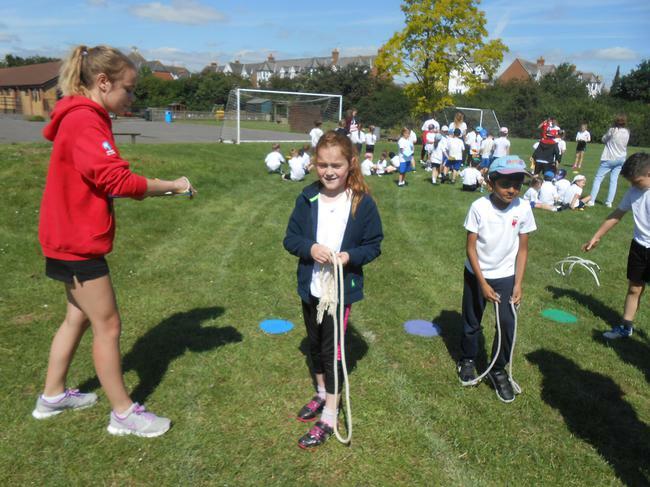 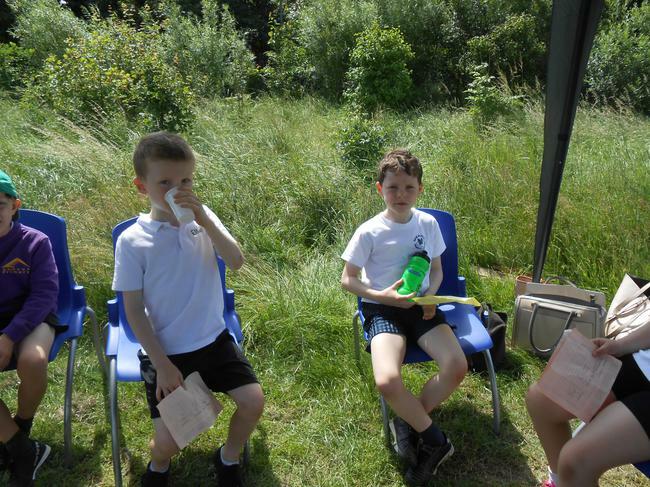 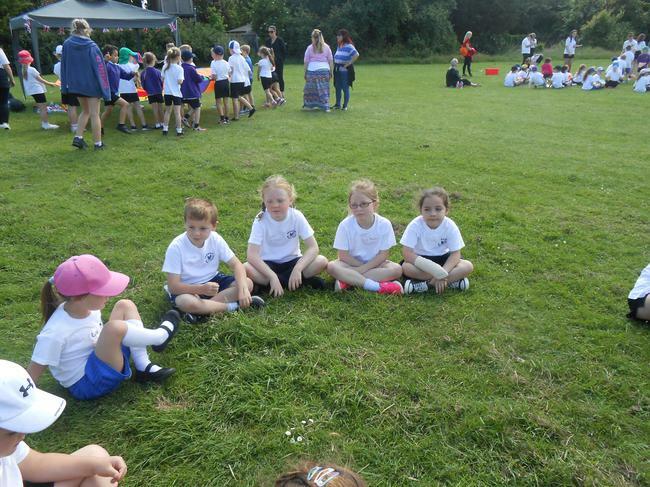 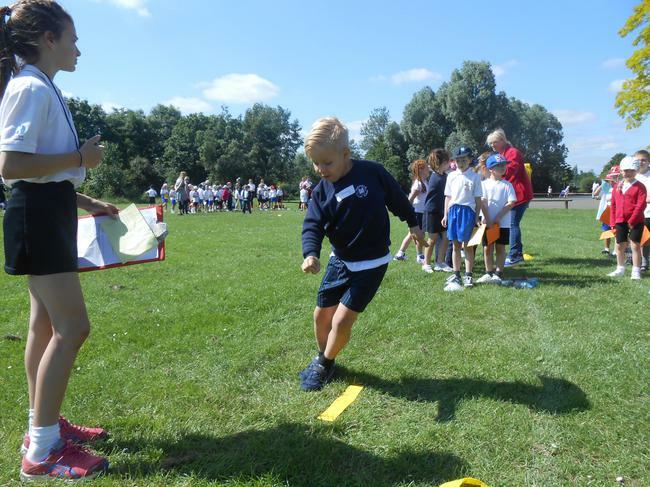 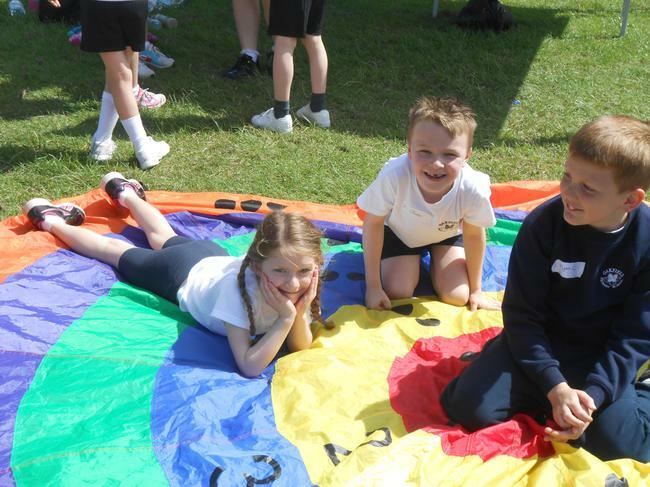 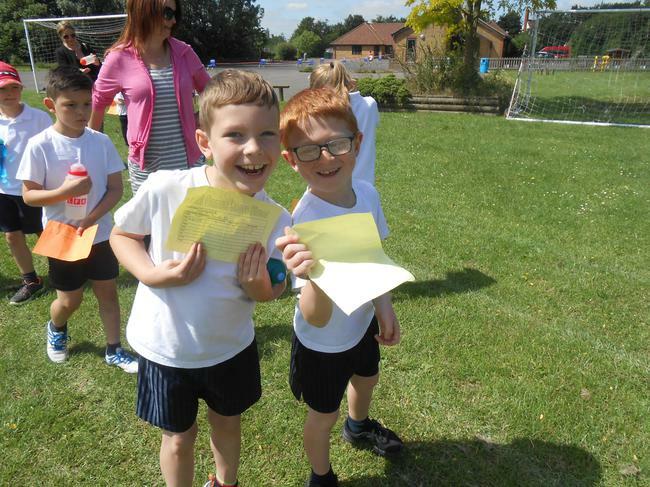 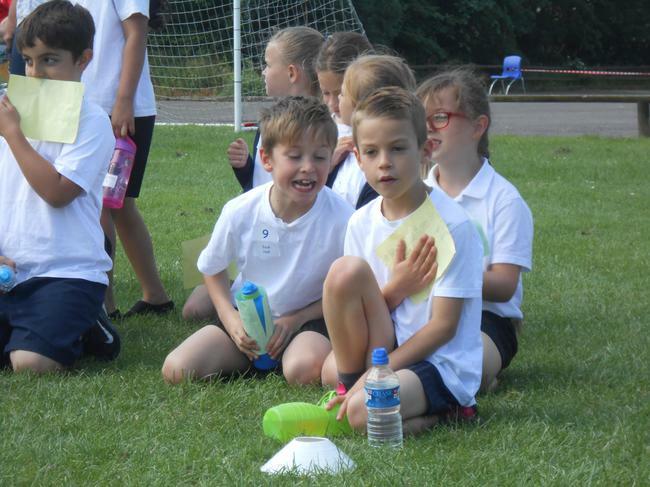 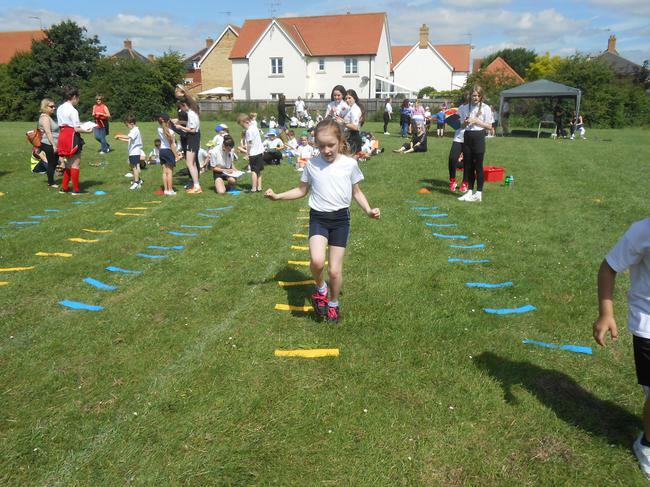 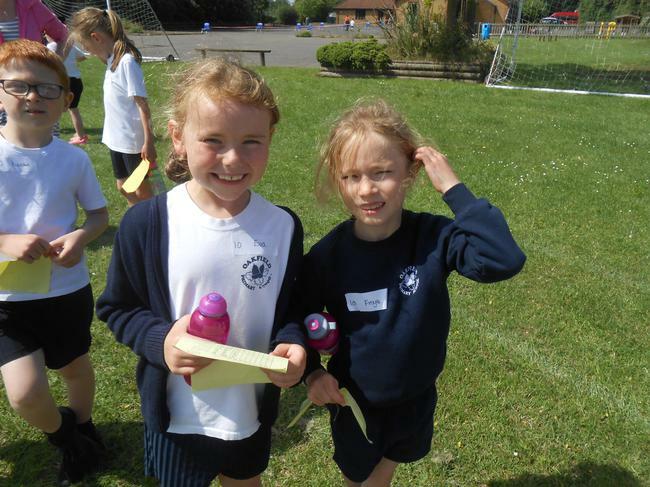 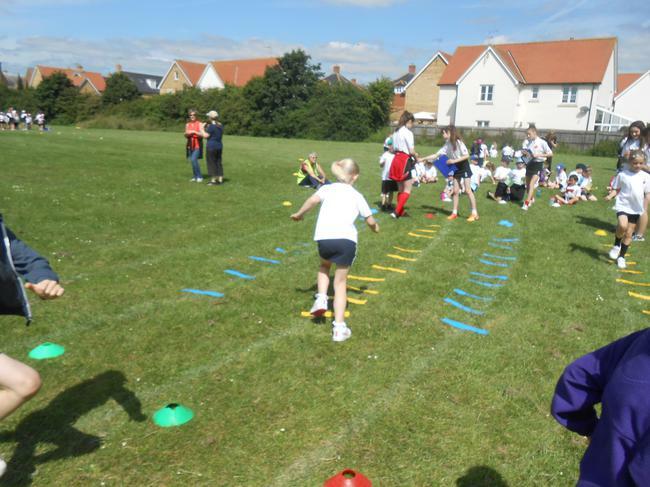 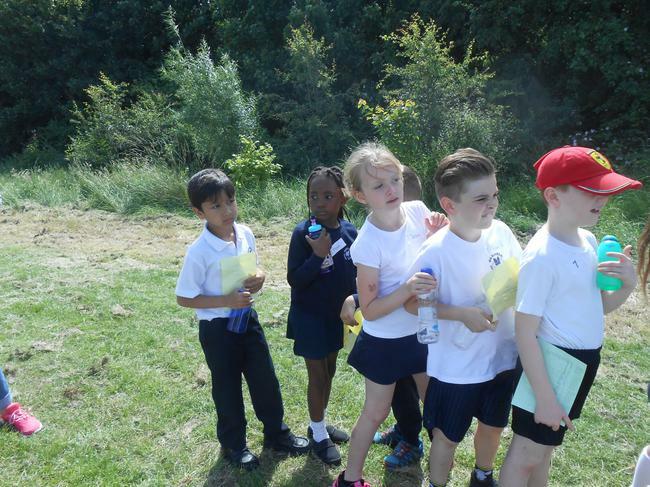 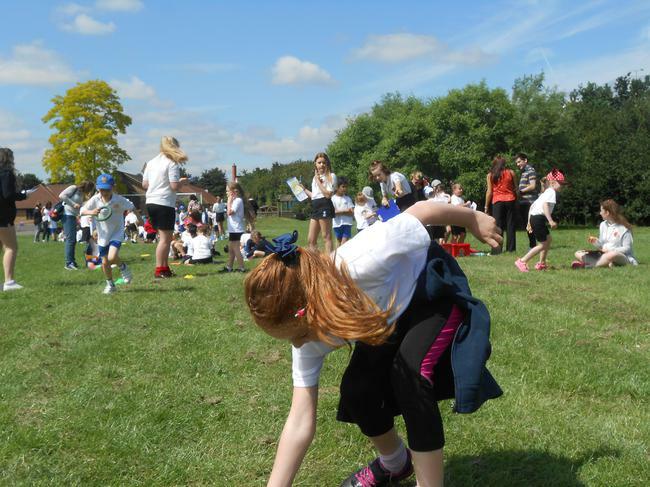 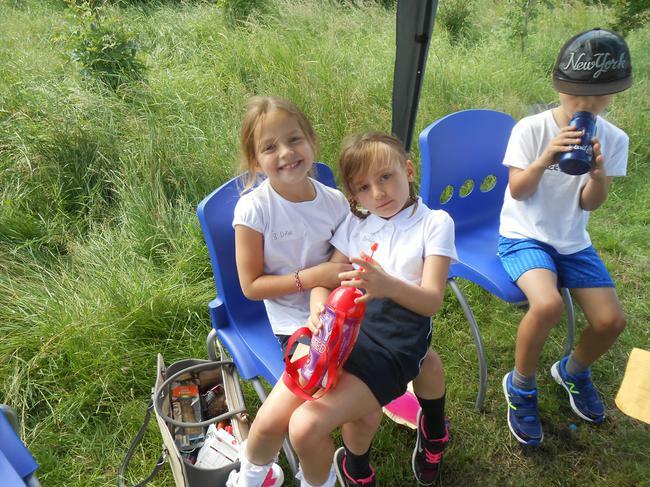 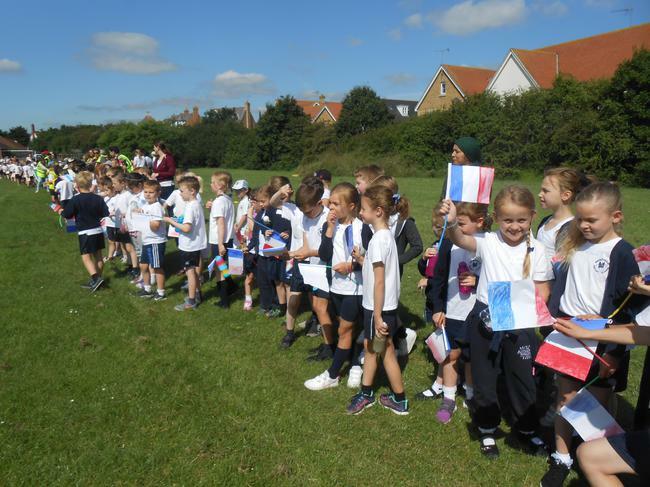 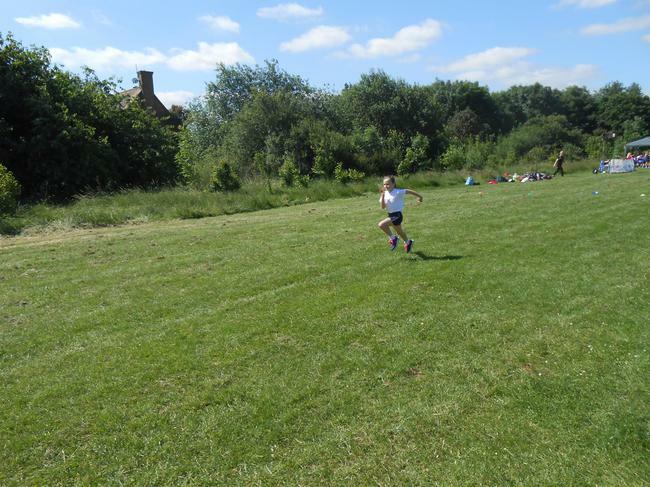 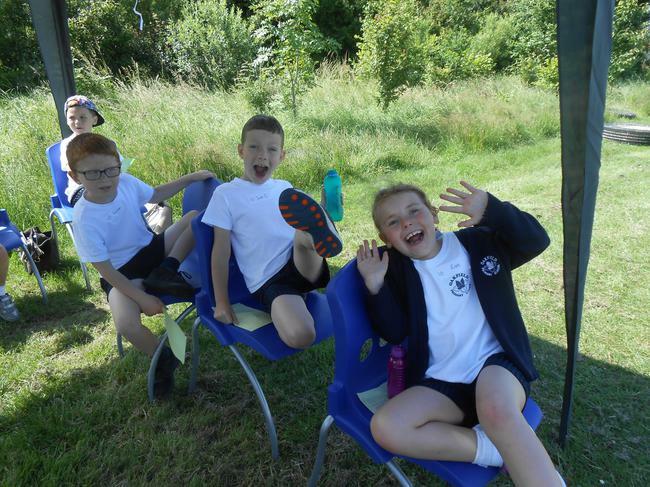 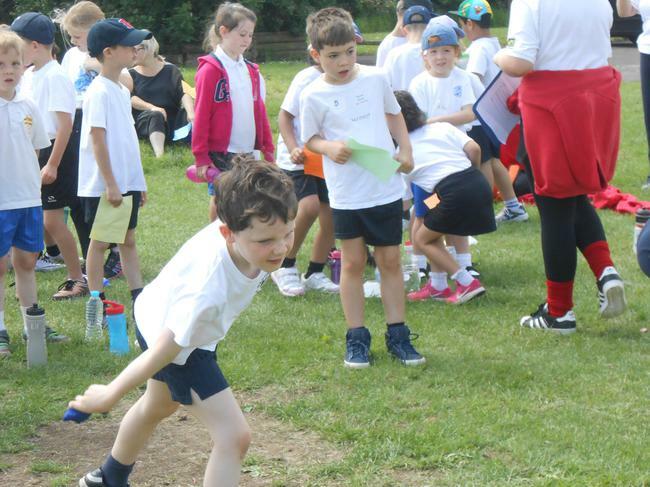 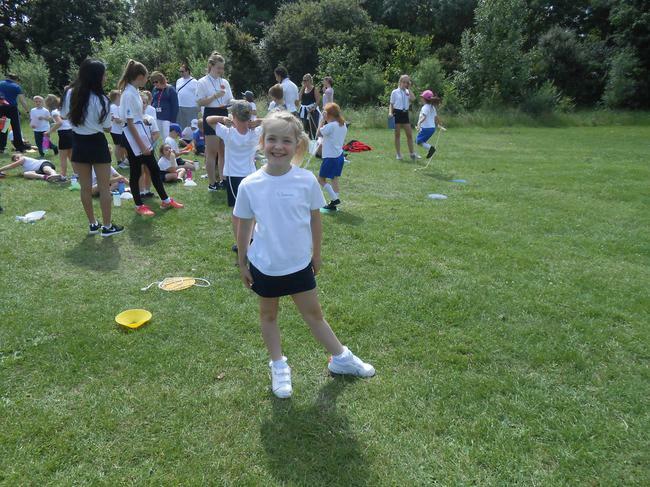 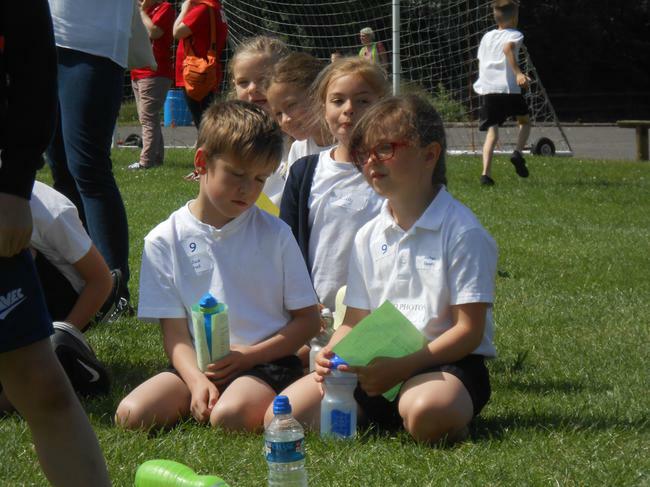 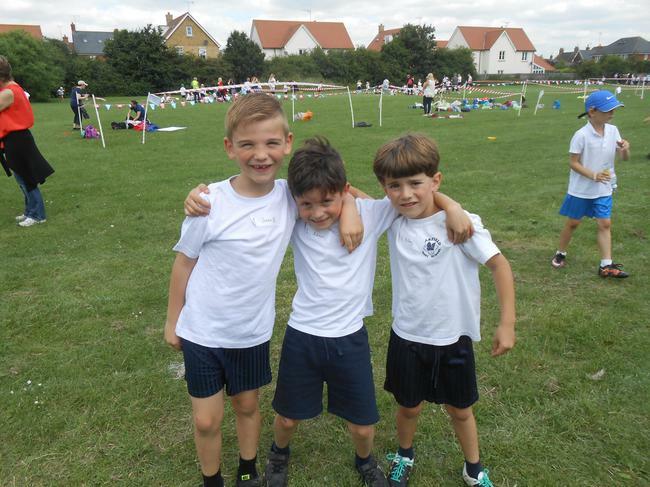 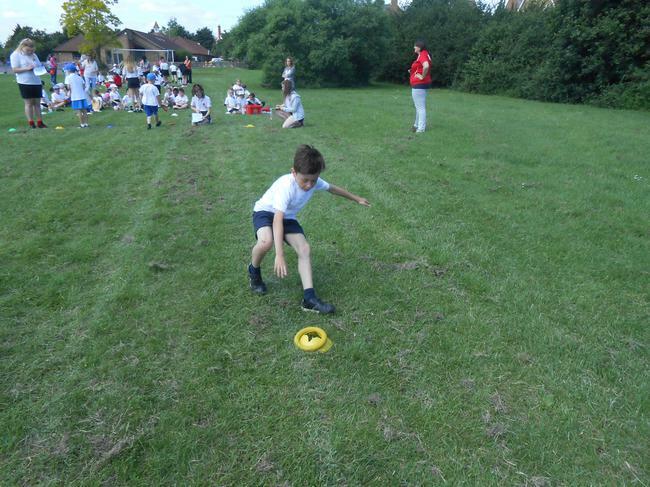 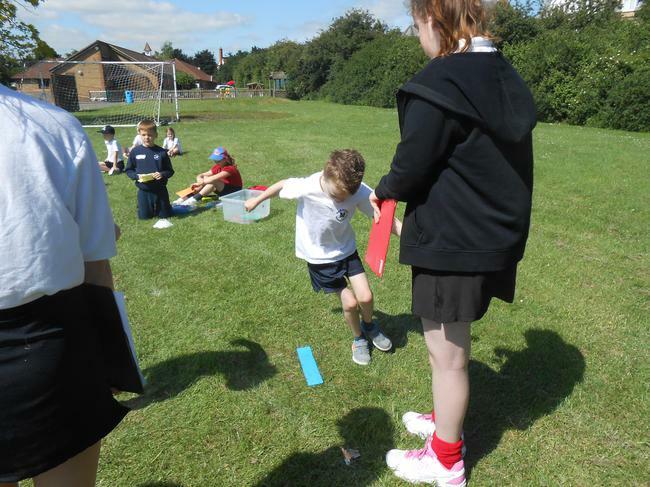 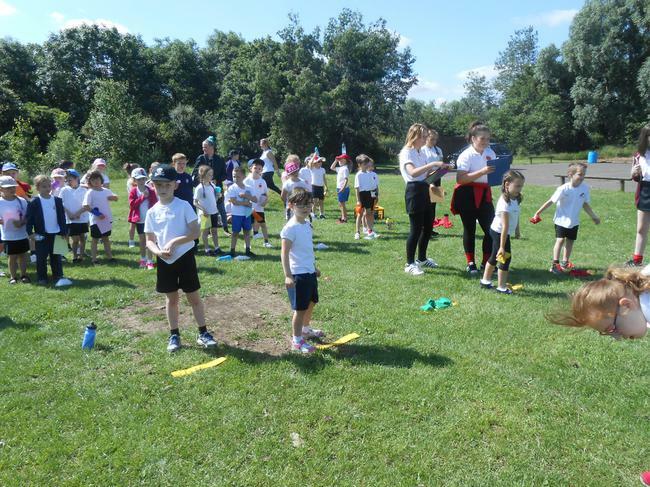 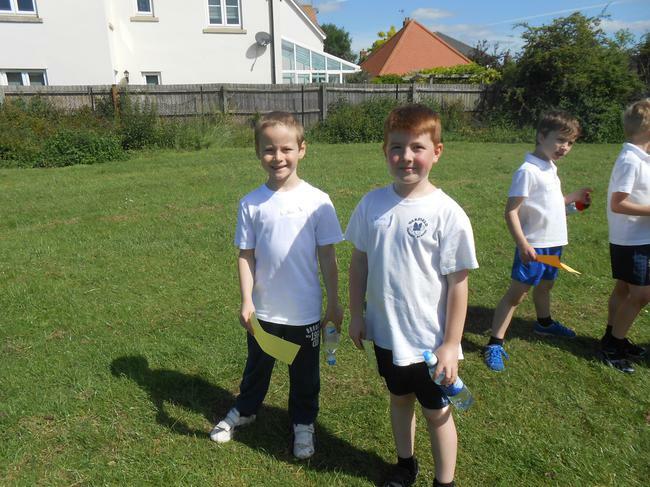 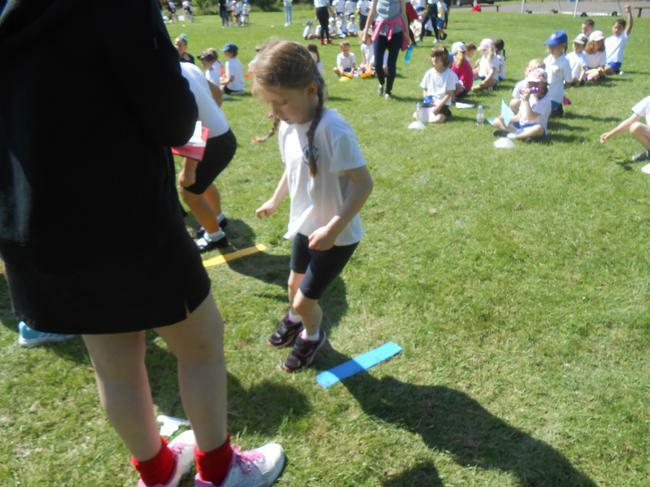 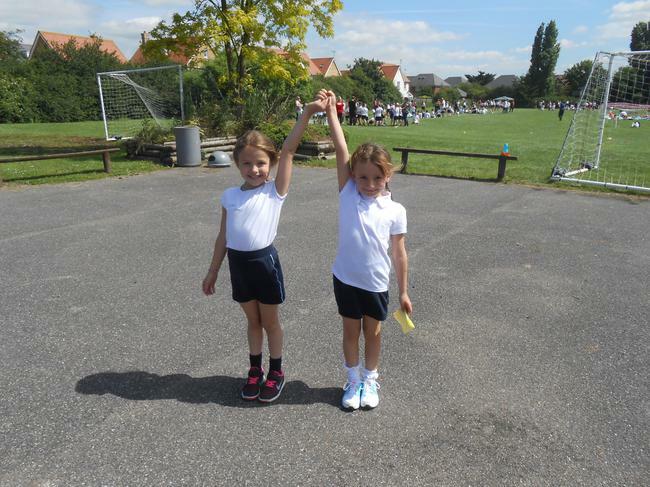 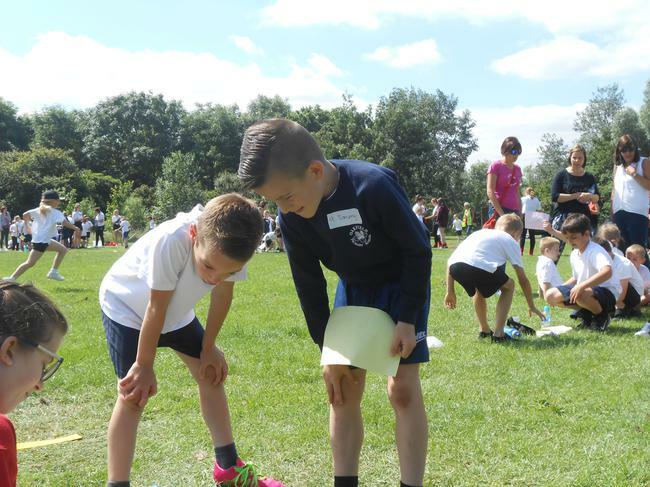 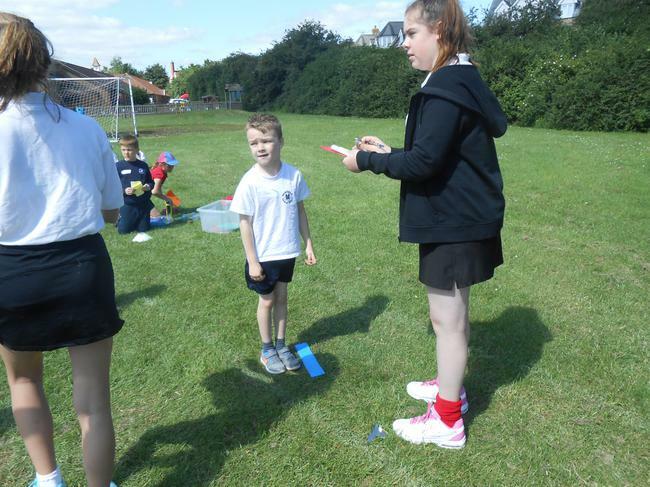 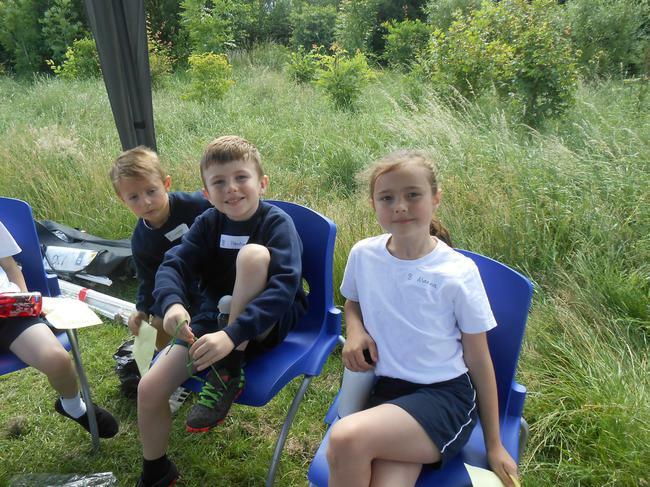 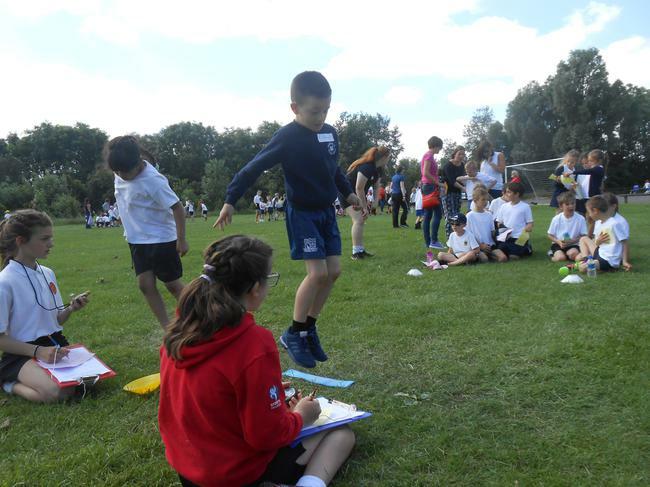 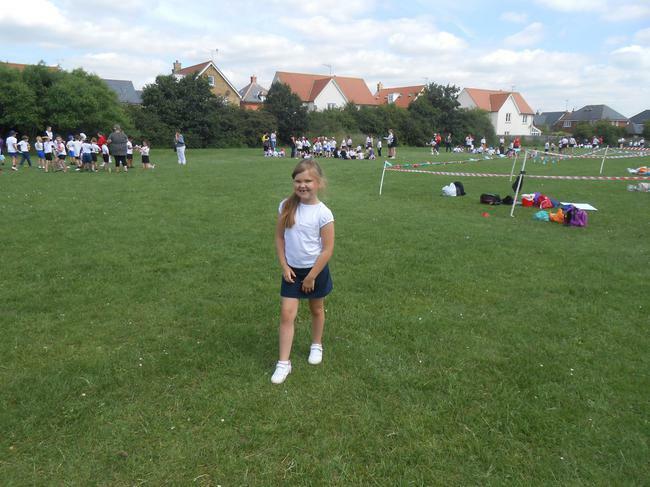 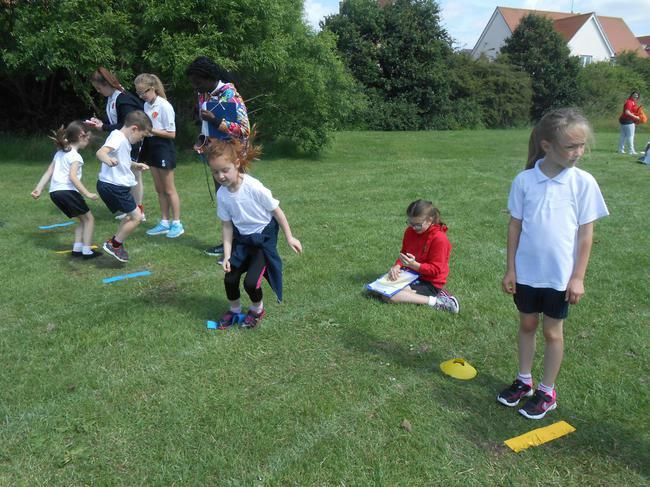 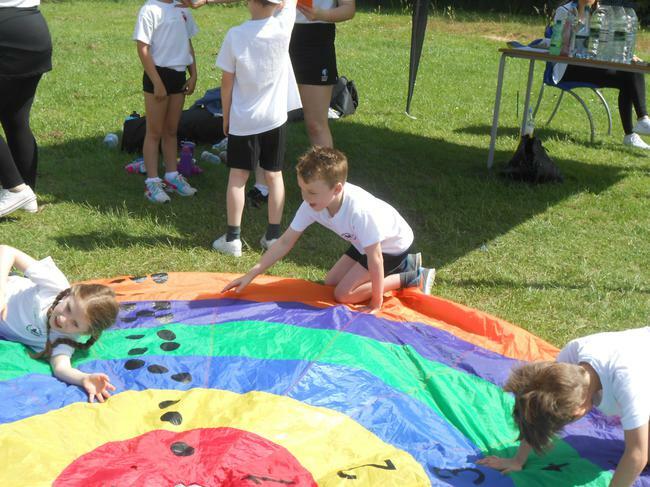 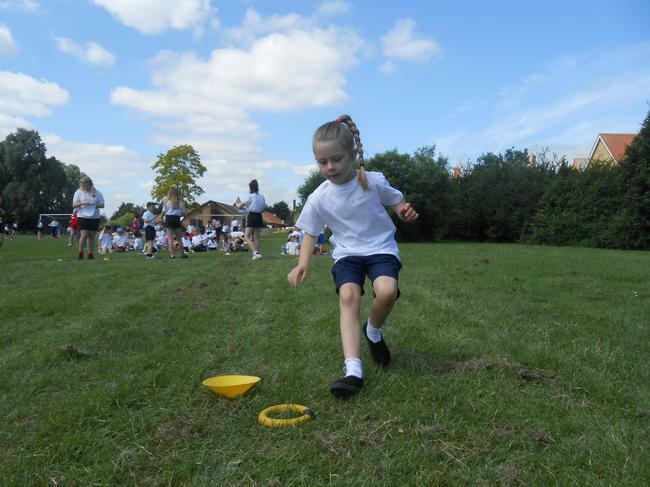 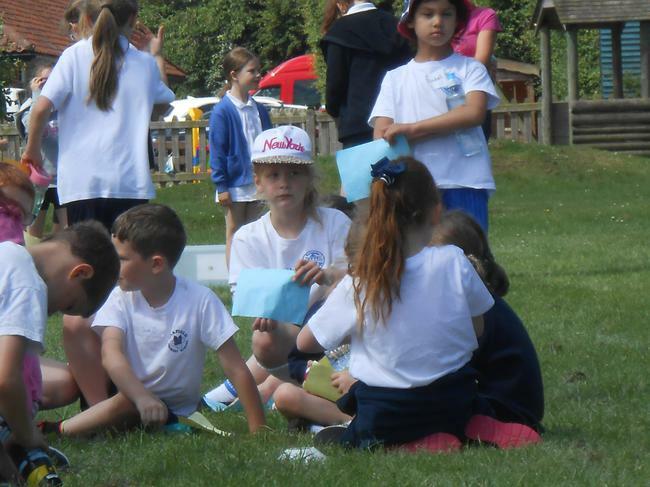 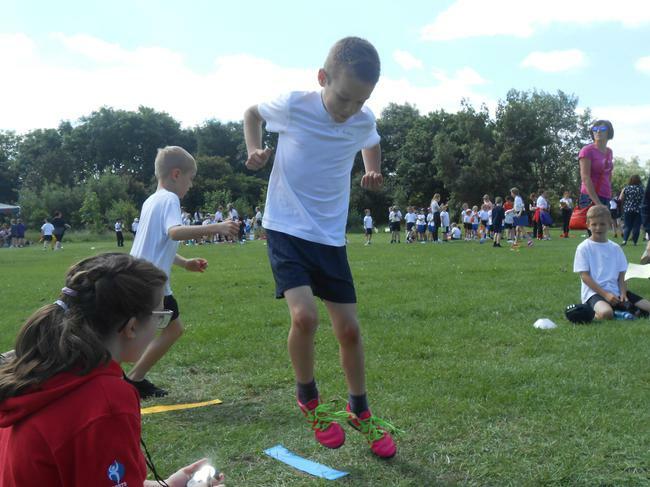 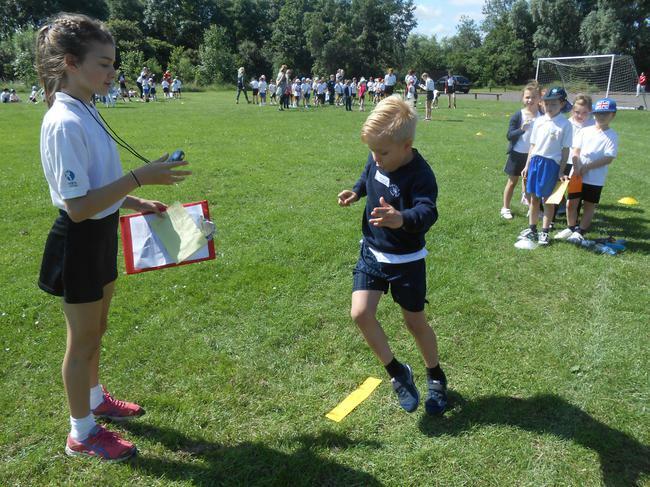 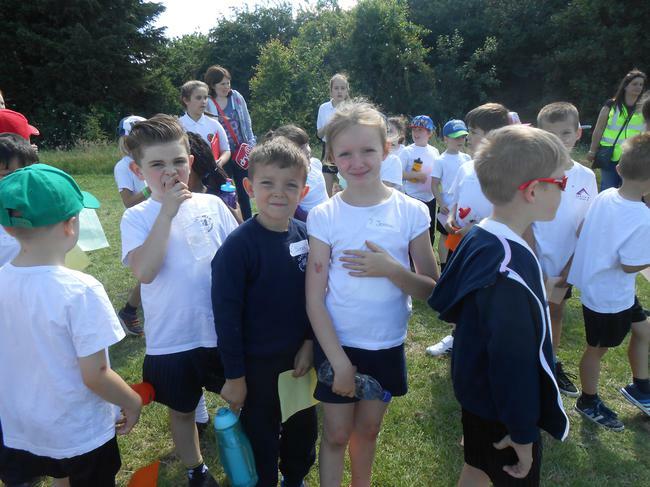 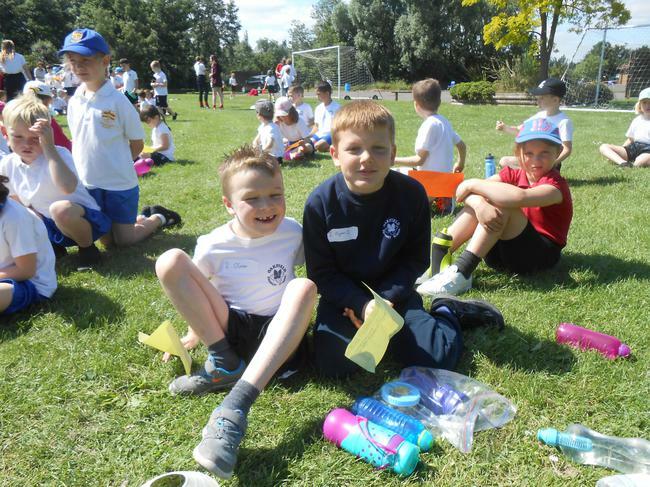 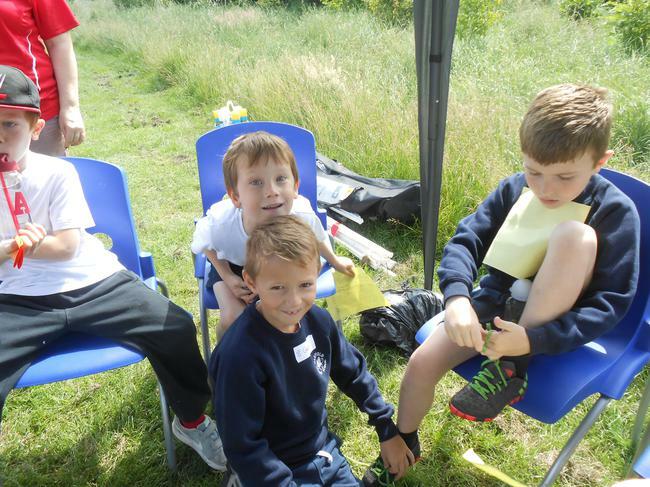 Yr 2 children took part in a Mini Olympics tournament along with Hilltop Infants, Grange, Abacus, Wickford Infants, Collingwood and Sunnymede Infants schools. 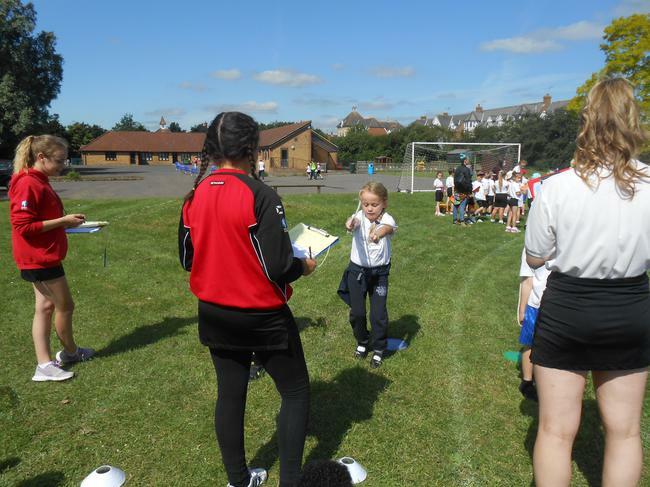 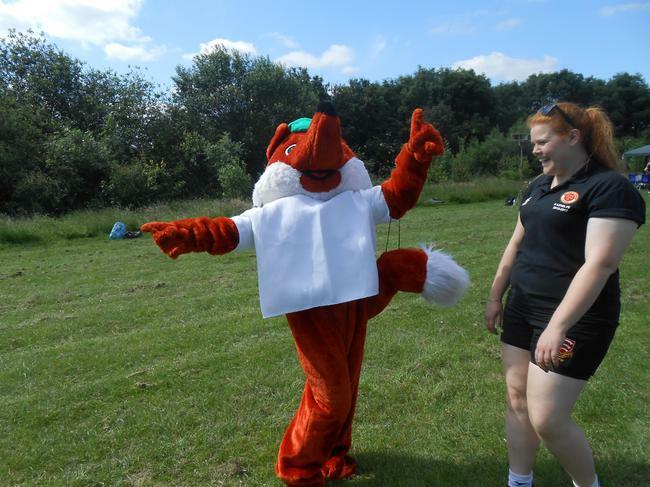 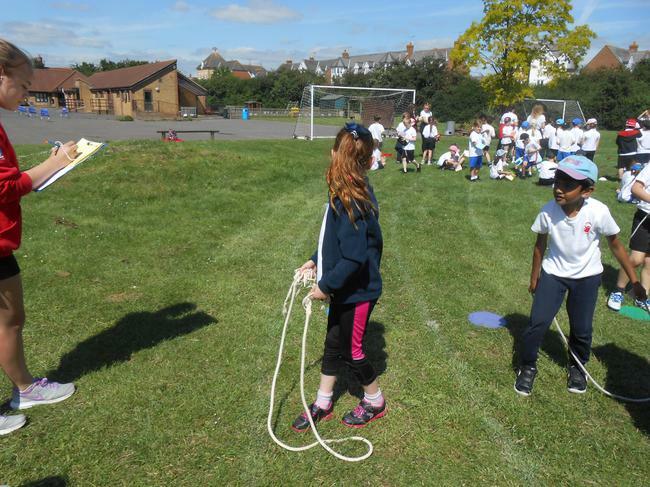 The event was organised by the William de Ferrers Sports Partnership team, helped by the Yr 9 sports leaders. 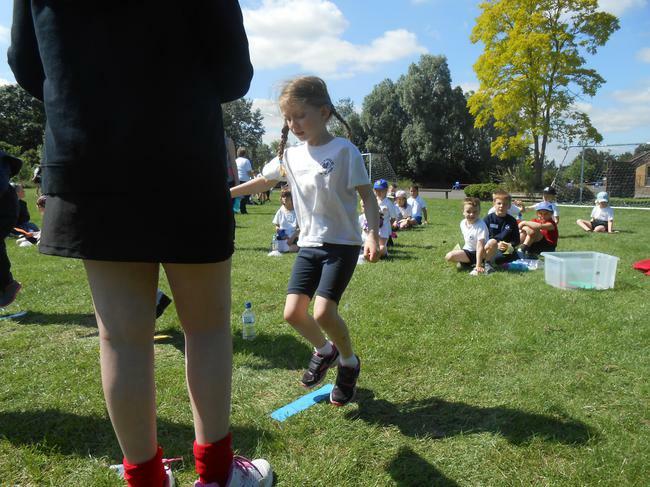 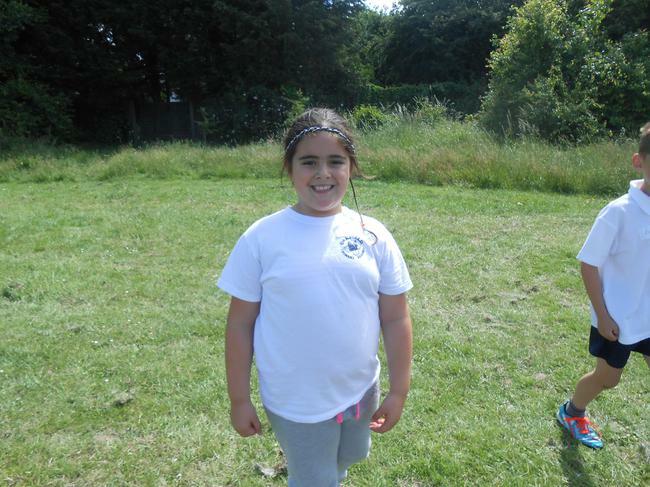 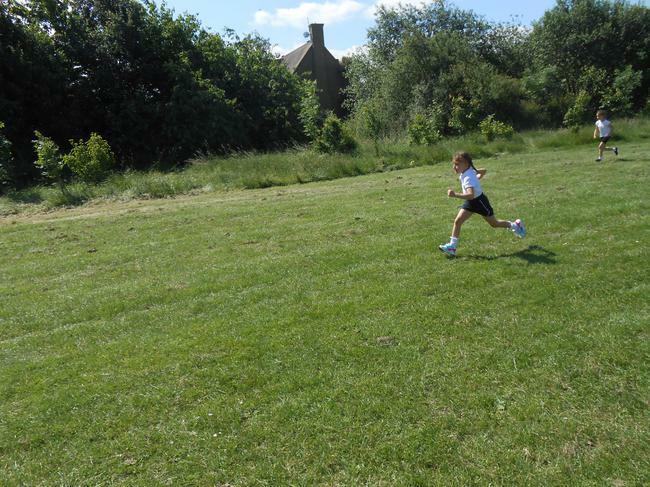 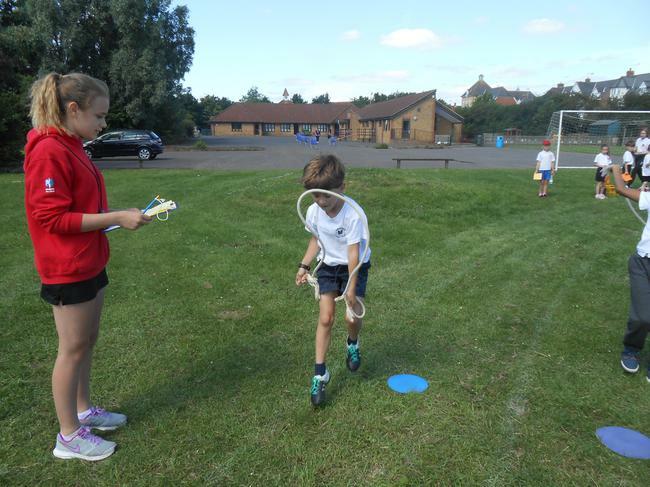 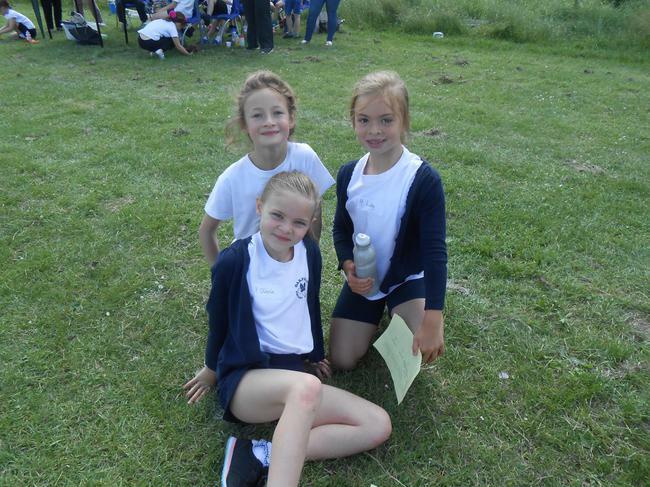 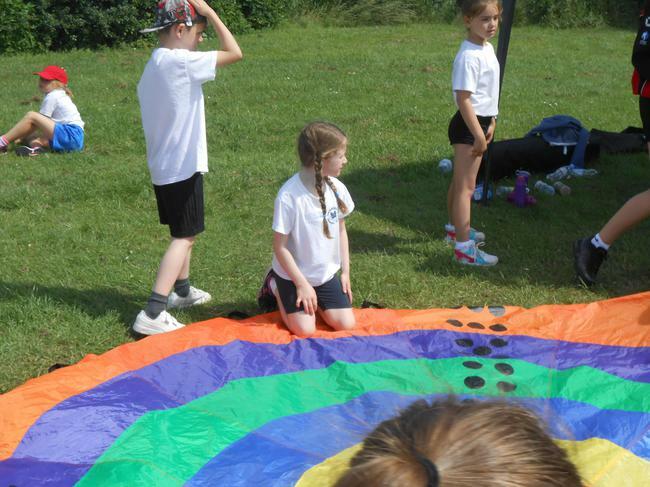 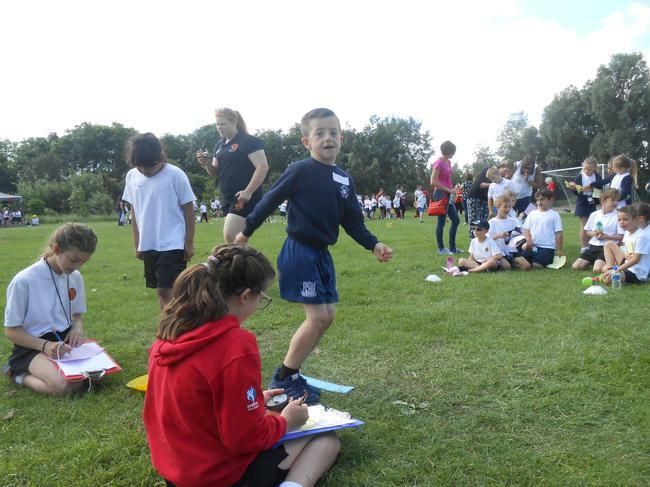 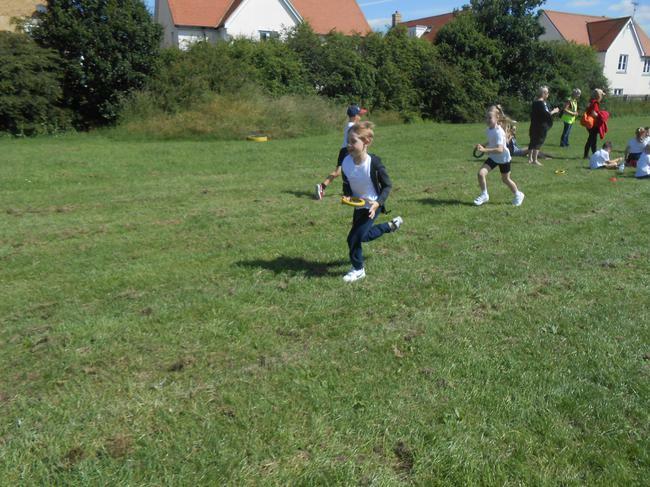 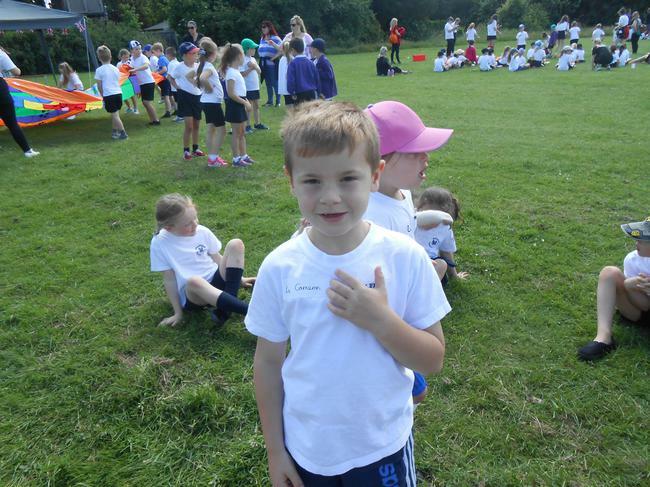 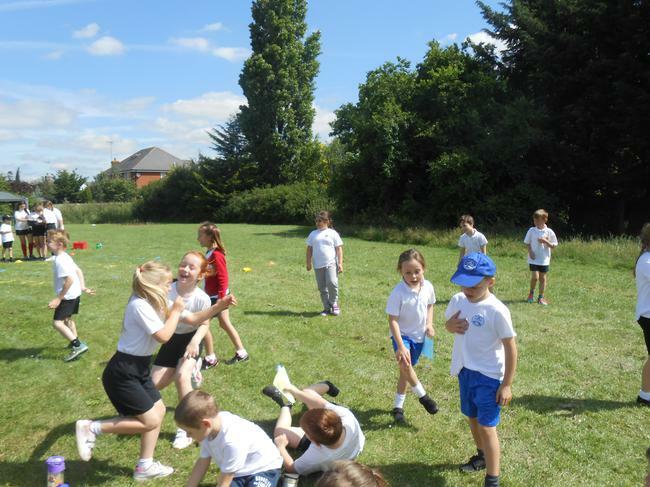 The children went round in groups taking part in skipping, jumping, relay, balancing and running activities. 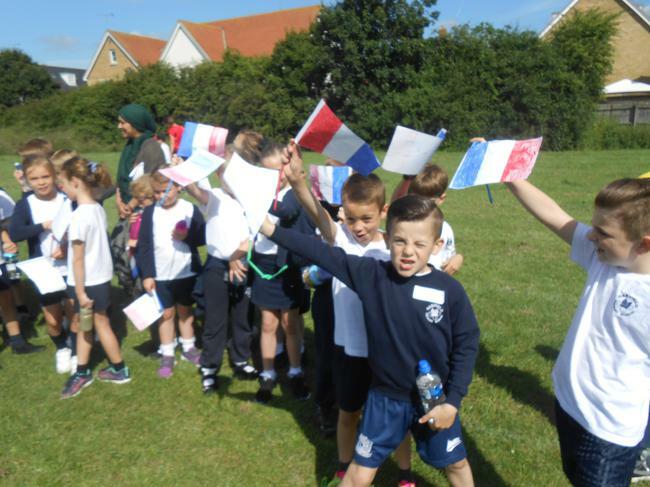 Each school represented a country with Oakfield representing France. 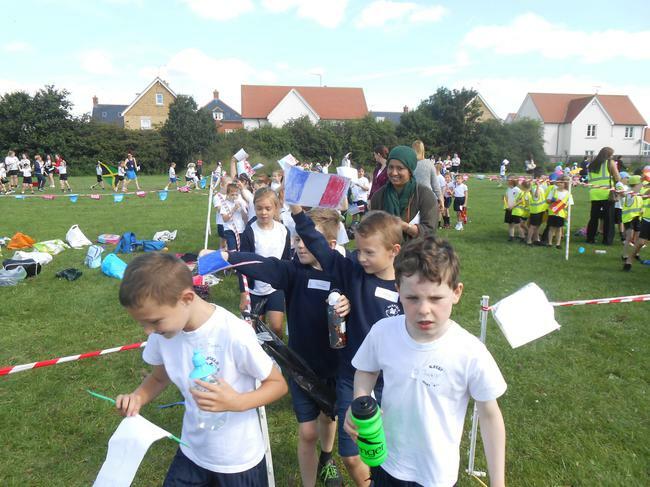 There was an Opening Ceremony where the children walked round the track with banners, flags and masks of the country they were representing. 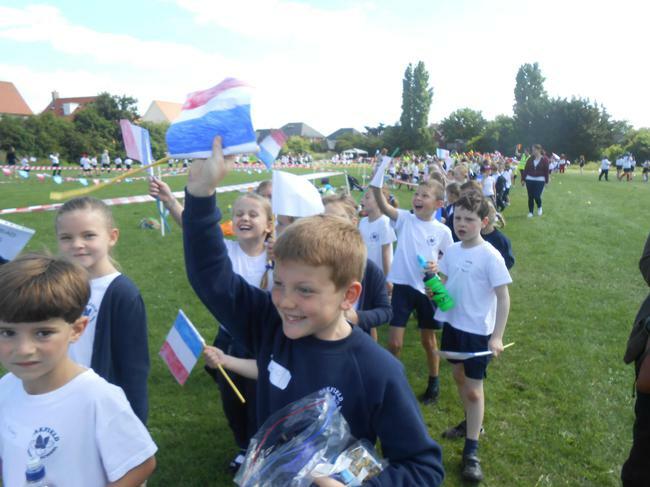 The Olympic and Paralympic values of friendship, respect, courage, inspiration, determination and equality were encouraged throughout the event. 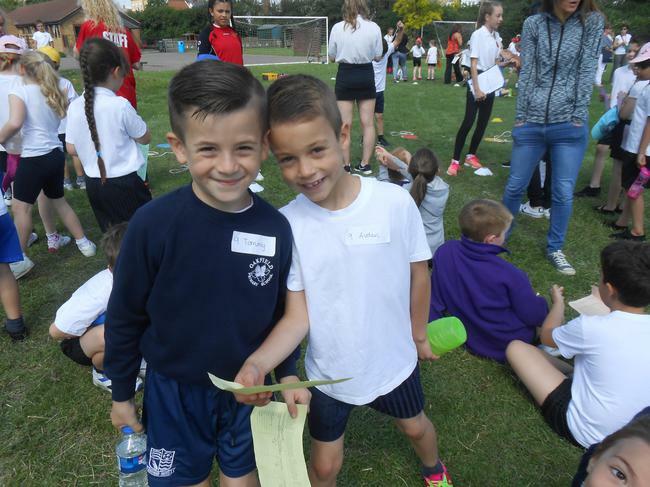 A big thank you to the William de Ferrers Sports team for organising the event.